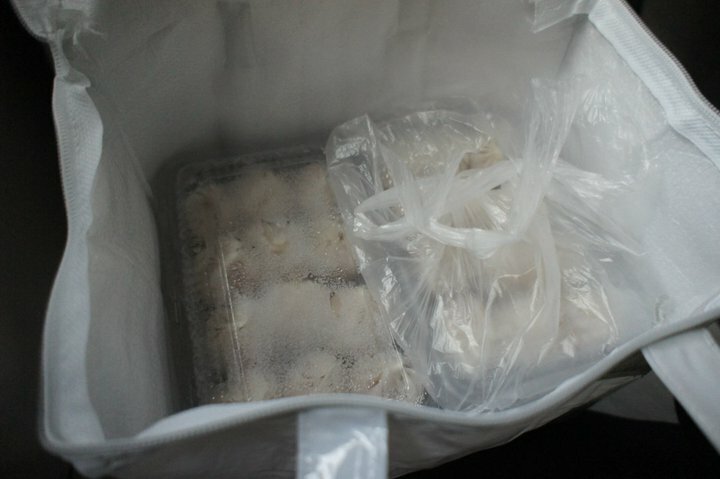 If you only eat 3 things in Shanghai, at least take home a fourth - frozen Jia Jia xlb, anyone? 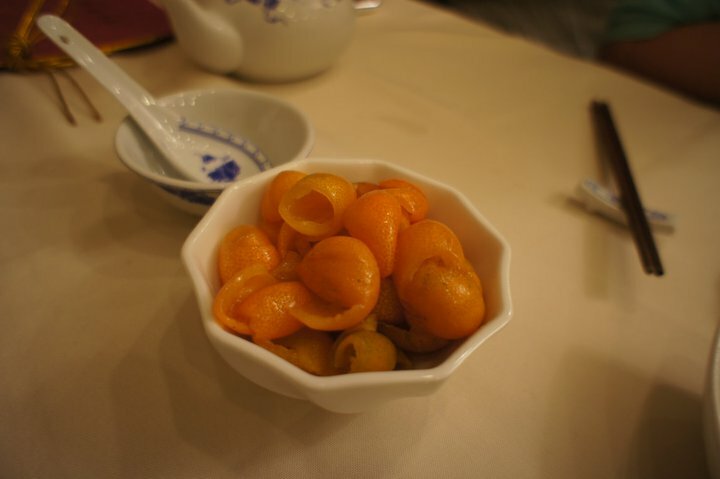 How crazy would you be if you went to Shanghai and could only eat three things? Well, you wouldn't need a proton pump inhibitor, that's for sure (if you don't know what a PPI is, lucky you), but you'd be missing out on a lot. These are, aside from the xiaolongbao, just the top three things I had when I went this time round. The first was new to me too - always nice to make new discoveries - the other two are old faves. Shanghainese food is a post-low-fat era foodie's dream - fatty, slowcooked, bursts with flavour - especially its signature dish, hongshao rou. No Shanghainese restaurant will be without this dish of pork belly slowcooked in dark vinegar, soy and sugar, but the one at Sincere Restaurant is the best version I've had thus far. 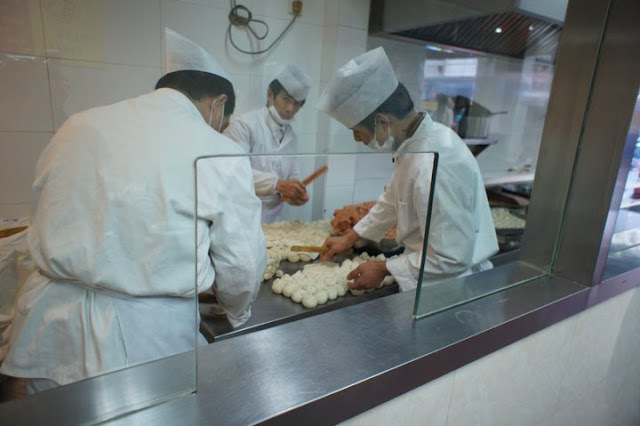 They use the belly of the same kind of pig used for making Jinhua ham (Chinese prosciutto of sorts), called liangtouwu (兩頭烏, lit. black on both ends) or unfortunately, panda pig in English. I guess it's sort of like using Iberico pork belly. The meat was juicy, the fat almost dissipated on impact (with your tongue, or unwieldy chopsticks), and the skin was full of gelatinous, collagen goodness (hmm, collagen. Maybe I take those Fancl ads too seriously). I ate each morsel in one big, fat, scorching, sweet, sour, savoury, juicy bite. Never did I stop to remove the (extremely) thick layer of fat. That's what this pork does to people who spent their formative years watching ads on TV about crap that's 97% fat free. 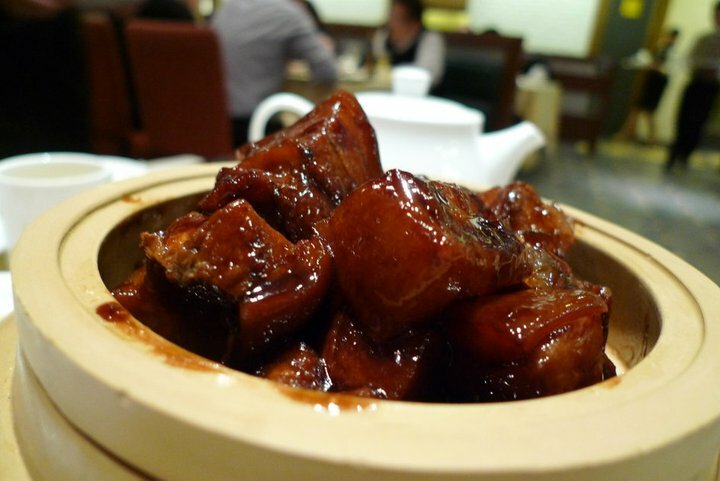 You'll find hongshao rou at Shanghainese stalwart Jesse too, but it paled in comparison. The flavours were all there, but you can tell they were hurrying. The lean meat on Jesse was much drier. It wasn't as bad as jerky yet, but this was after Sincere's hsr, and so far, no one has beat Sincere. But don't let that deter you. There are reasons why Jesse is one of my Shanghai 'musts'. Generally speaking, the dishes are divine. They're highly sensitive to seasons and almost always have specials that are actually, well, special, and never what the kitchen wants to get rid of. 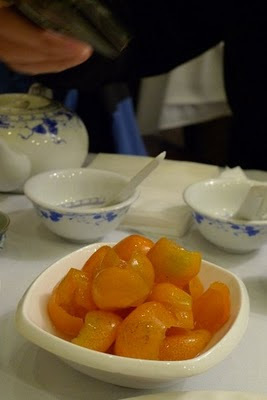 There are also those kumquats. Kumquat peels, to be precise. All they do is clean them and peel the skin off, paring the slightest bit into the flesh, then macerate it in syrup. It's so simple, it's amazing. Citrus peel and sugar syrup. The tang, the sweetness... my mouth waters just thinking about them. They're only available around late autumn-winter when kumquats are on the market. Even by Jan the peels are getting a bit too thick. nb. There's a chain called Xinjishi - as in, New Jishi. While probably owned in some way by the same people (the Xinjishi website lists the original Jesse too), the quality of food is way inferior. 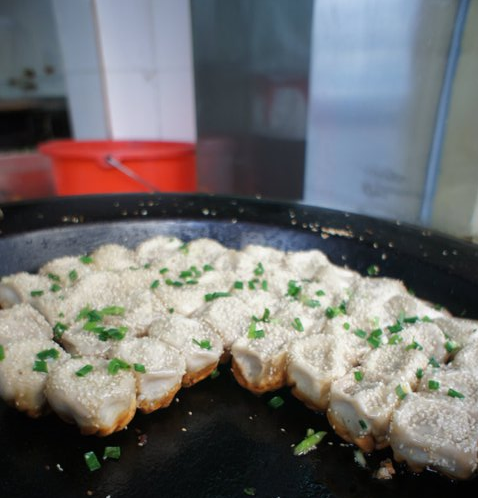 Tell me a foodie* who's been to Shanghai and doesn't know Xiaoyang. If you find one, they either don't eat pork or aren't really a foodie, end of story. 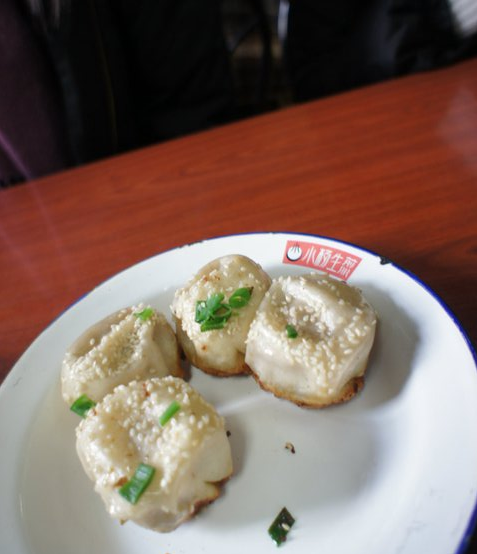 These potsticker buns are the stuff of street food legend. Combining fat, hot crisp carbs, umami and more fat, this bigger cousin of xiaolongbao comes with a soupy surprise too, and is also best eaten with very tart vinegar to 'cut' through the lardiness. Luckily the vinegar here is tarter than usual (but still not acidic enough for vinegar freaks like me), but who cares when you bite through that crust and there's so much soup it squirts into your hair (true story)? I totally agree with you on Yang's Dumpling squirting in your face/hair/pants/neighbour. But they are so amazingly good! your Shanghai posts series are making feel homesick of my former home!!. for me the Sh mosts are xiao long bao with no doubt and Xiaoyang. I´m addicted to both. 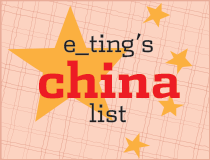 These three Shanghai cuisines are enough. They all looks so good, and I bet these all are amazingly great. 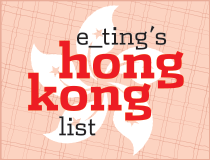 This is why you should not missed to have a visit in HK, there you'll see the best bar in Hong Kong.